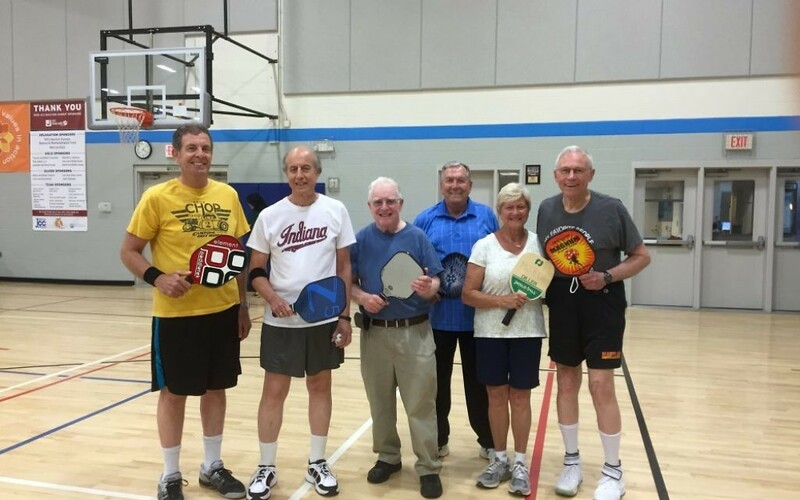 Above: Preparing for some pickup pickleball are (from left) Alan Simon, Marty Walter, Ed Feldstein, Ken Lester, Carolyn Miller and Allan Bleich. 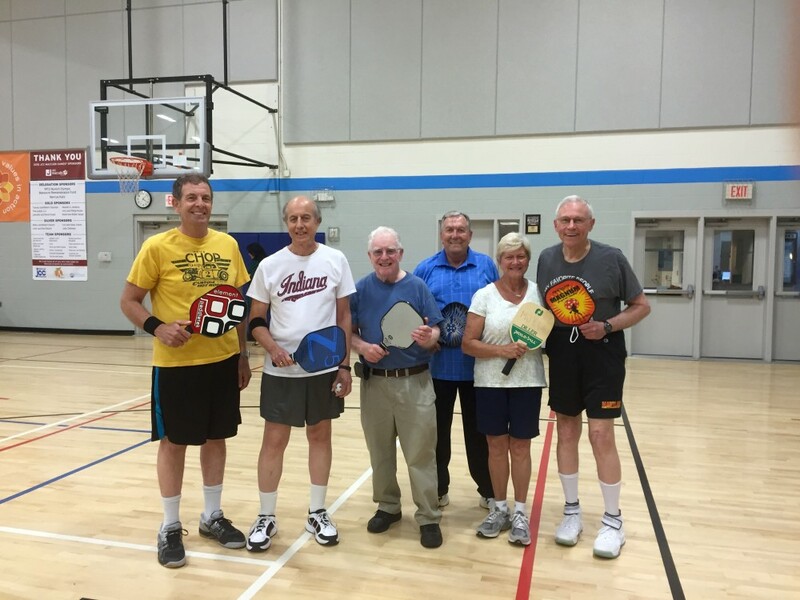 Being one to stay fit and well read on topics of senior fitness, I wondered what all the fuss was about pickleball. I read that The Villages community in central Florida has 162 pickleball courts and a line to play starting in the early morning. 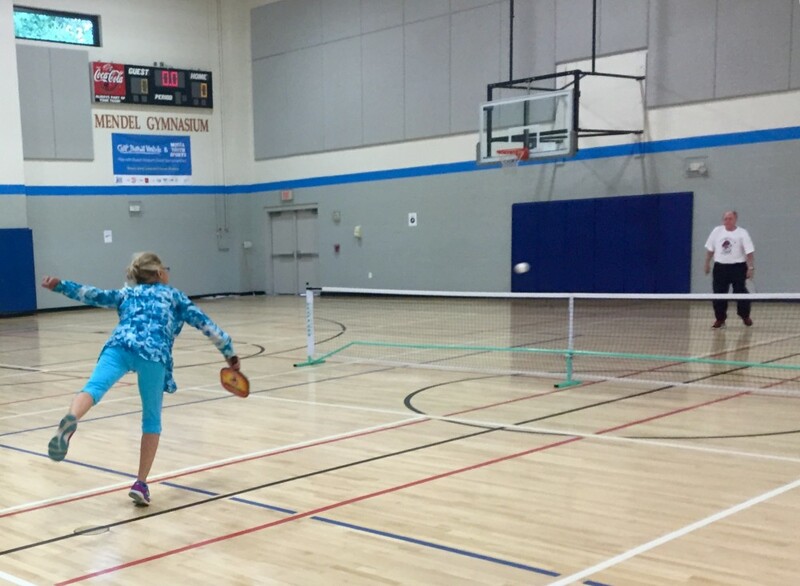 A combination of tennis, badminton and ping-pong, pickleball started in Seattle in 1965. It’s a game for all ages; thus, it’s not so senior-oriented. You have to have quick reflexes and be able to move about the court. 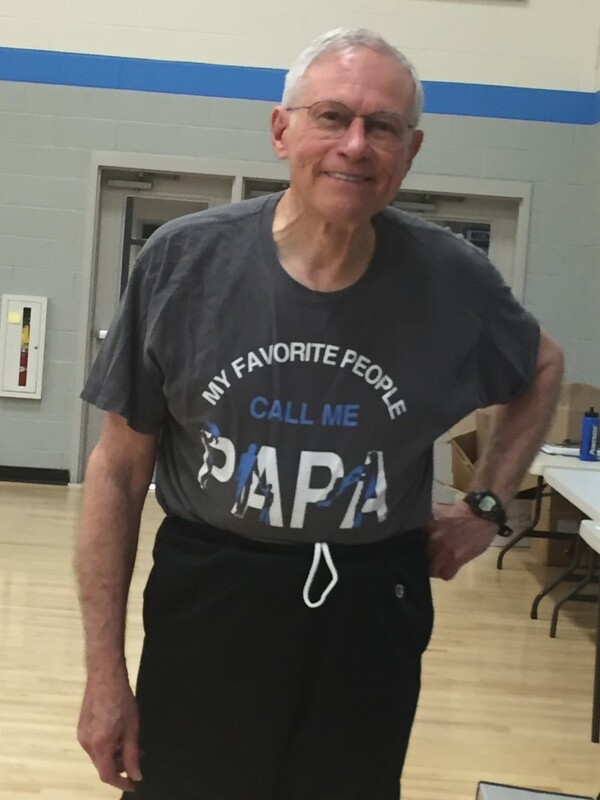 “It’s more fun than working out in the gym and is great cardio,” Allan Bleich says of pickleball. The serving is easy. The court is smaller than a tennis court, and you have to wait for a bounce before charging the net. You also have to transition to the weight and trajectory of the plastic Wiffle ball, which moves slowly. 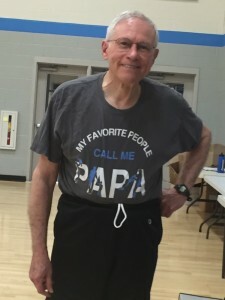 The Marcus Jewish Community Center has three pickleball courts six days a week; the schedule varies based on the season. Organizer Ed Feldstein, a volunteer, puts out an email to 150 players with updates. I chose to go on a Monday at 4 p.m. when beginners are encouraged. Part of the fun of the game is the guidance and camaraderie of people who start as strangers and end as teammates or friendly opponents. Retired lawyer Alan Simon has played three days a week the past few years. He likes the sharpening of his reflexes and the bonding with the other players. Leonard Sherman awaits a return shot during warmups. Bleich was a true Southern gentleman and immediately loaned me his fancy, souped-up graphite paddle that mimics a 15-year-old’s skateboard design. I figured I’d saddle up to the doctor in case I passed out while galloping midcourt. Although we lost, we were not an embarrassment. No one was showed mercy as the balls kept flying to me, the weak link. Now all I have to decide is whether I want to be cool and invest $70 in a fancy paddle. 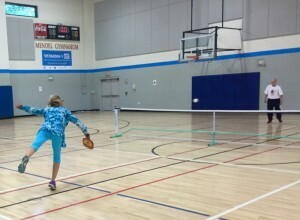 The Marcus JCC provides regular wooden paddles and balls. Nonmembers can call the Marcus JCC at 678-812-4000 and arrange for up to three passes for $5 each to get a taste of the game and peruse the open pickleball schedule. To play Saturday, come in on Friday and prearrange a guest pass because money is not accepted on Shabbat.